New template! 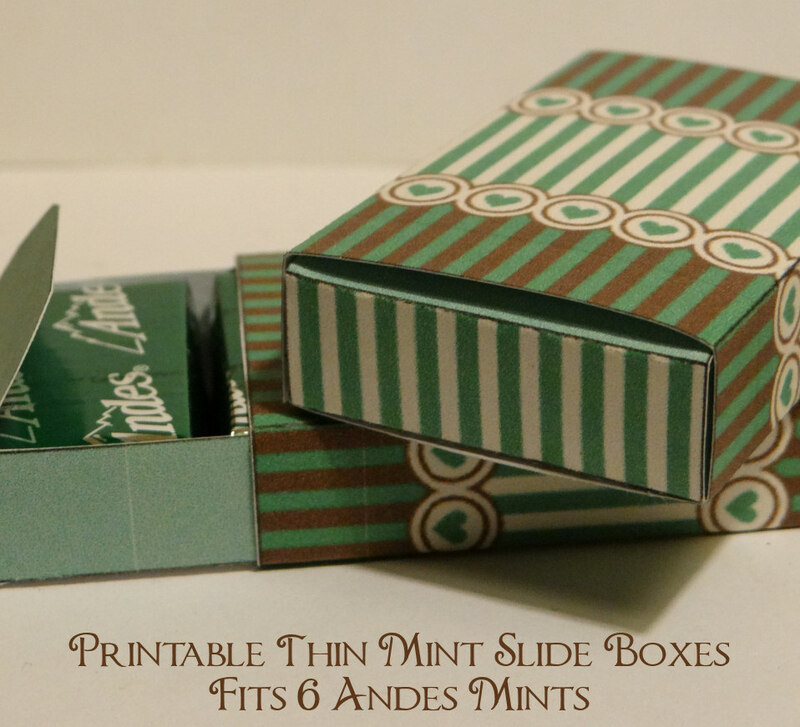 I've posted a few slide boxes that fit 4 mints (you can buy a blank template here or here)- this template isn't listed yet. It will hold 6 Andes Mints, and fits 2 to a page. 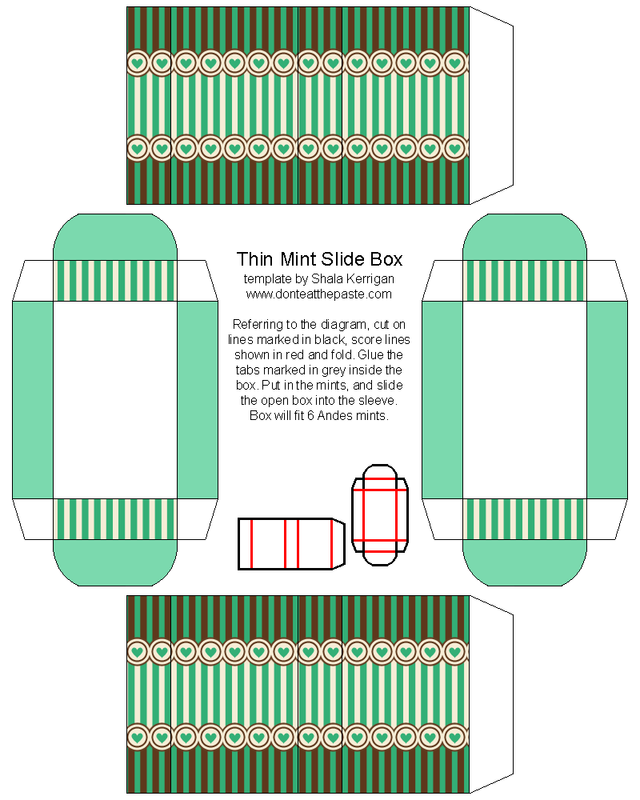 Click the image below for a larger version. 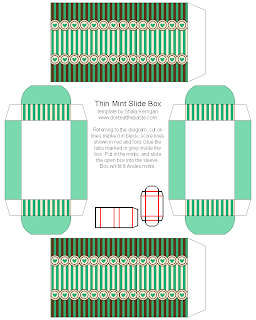 It needs to be printed at 8x10 inches to fit Andes mints. Print on card stock, cut out, score, fold, glue!